These Boston Crème Mini Muffins are a combination of my powdered sugar donut recipe, my basic custard, and my almond milk ganache. They’re like a healthy incarnation of your favorite donut flavor, but they also remind me of mini eclairs. I’d say that’s a win either way. I’m a food blogger and sometimes I like to go over the top. Give me a little grace. I try to please the masses the rest of the time (like with these 5 ingredient recipes). You’re getting three recipes in the recipe below. 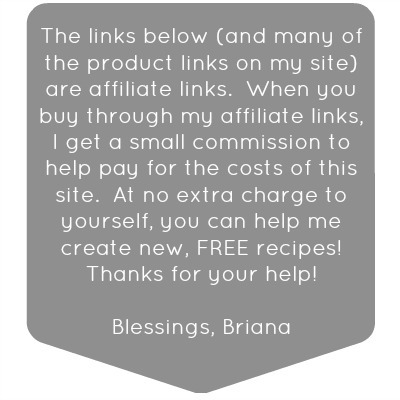 Be thankful – I could’ve just linked to each recipe and made you print them out individually (more pageviews for me, eh? ), but I condensed them into one recipe below for your convenience. Each of these three recipes is actually super easy. Take a look and I think you’ll have to agree with me. And the custard is made the day before and makes enough to have some leftovers, so it’s not like you have to make everything in one day. Sometimes we just want to go a little far out for the sake of creativity. The mini muffins utilize the new THM Baking Blend (which can be purchased from the Trim Healthy Mama online store)! This awesome blend of low carb flours is gluten free and non GMO, and it makes incredibly fluffy baked goods. 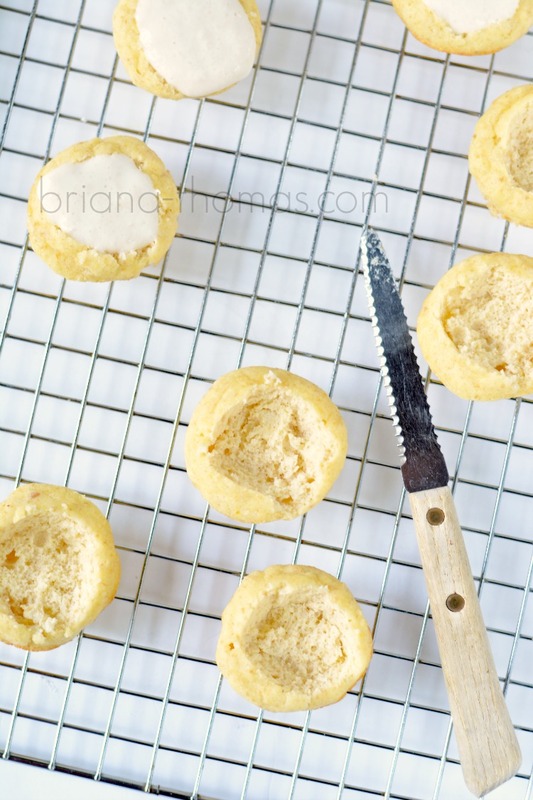 I used my basic Baking Blend recipe to make these mini muffins, and I’ve been wanting to do something with a Boston Crème flair for awhile now, so I figured – why not? Make some custard – and I already had a ganache recipe – bam! Mini Boston Crème thingys. That taste like eclairs. I am happy. These things are pretty easy to assemble. 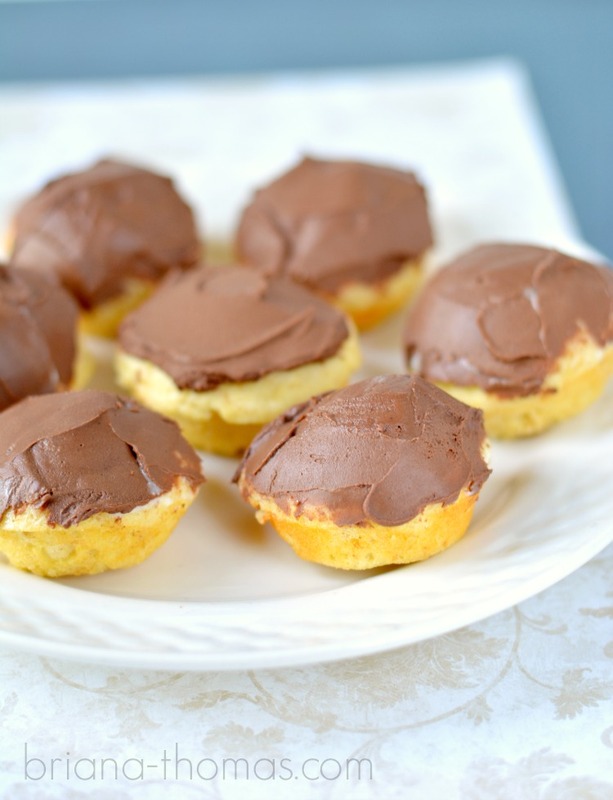 Take your chilled mini muffins, cut the tops off with a grapefruit knife, fill with a little custard, freeze for about 10 minutes to freeze the tops a little, and top with the firmed up ganache (an offset spreader works great for this). Refrigerate, and you’re all ready to serve! I hope you enjoy these little cuties! Question of the day (comment below): what’s your favorite donut flavor? You can pin this post from my Desserts board here. Prepare the custard the day before. Blend the first eight ingredients together (egg yolks through salt) until completely smooth. Simmer this in a nonstick kettle over medium heat until thickened. I usually do it for about 8 minutes after the mixture comes to a boil, whisking often, especially toward the end, to prevent lumps. Remove the kettle from the heat and whisk in the vanilla, sweeteners, and butter. Let the custard cool, then cover with plastic wrap (pressing the wrap into contact with the top of the custard to prevent a "skin" from forming) and refrigerate overnight. The warm pudding mixture may taste a little watery, but overnight refrigeration brings a smooth creaminess. Yields a little over 2 cups (you'll only need about half that for this recipe). For the mini muffins, beat the liquid ingredients with a hand mixer until frothy. Add the dry ingredients and beat again until combined. Bake in greased mini muffin tins at 350 degrees F for 11 minutes or until a toothpick comes out clean and the tops are dry and not soggy. Remove the muffins from the tins and cool on a wire rack. Chill completely in the refrigerator. While the muffins are chilling, prepare the ganache. Melt the baker's chocolate, butter, and coconut oil together on "defrost" in the microwave in short intervals, stirring often so the chocolate doesn't burn. Once the mixture is completely melted and smooth, add the salt, powdered sweetener, and almond milk. Whisk together until smooth. Keep the ganache at room temperature on the counter until you're ready to ice the muffins. It needs enough time to set up so it's not in a liquid state, but don't refrigerate it or it'll be too hard. When you're ready to assemble the muffins, use a grapefruit knife to cut out the middles of the mini muffins. Fill with a small amount of custard (about 2 teaspoons) and freeze the muffins for about ten minutes or until the top of the custard is frozen. Ice with the firmed up ganache. I recommend only taking a third of the batch of muffins out of the freezer at a time to ice. 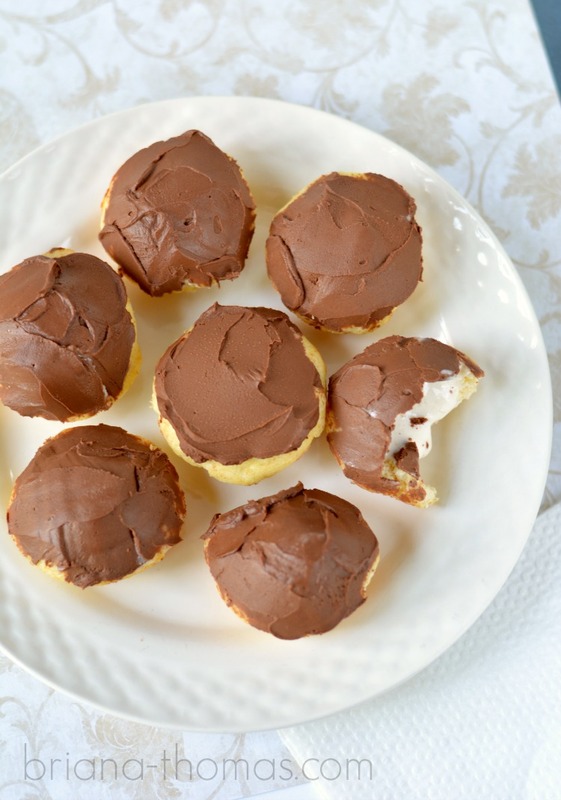 Store the finished Boston Crème muffins in the refrigerator after icing. We have a Ninja blender system that I love! I use the single-serve cups all the time, and I used one to blend the custard ingredients in this recipe. The single-serve cups blend things extremely smoothly. I used a grapefruit knife (it’s serrated on both sides) to cut the centers out of these little muffins. An offset spreader works great for frosting these. Baking Blend and THM Pure Stevia Extract Powder (along with a bunch of other great products) can be purchased from the Trim Healthy Mama online store. What are the question marks up in the recipe measurements? Unsure of what measurements to use. Where are the nutrition amounts? They look awesome, but I need #s! ? Hi Diane! I follow a healthy eating lifestyle called “Trim Healthy Mama” which centers around eating healthy foods and separating carbs and fats into different meals to speed up the metabolism. Counting is not required on THM, so I embrace that and don’t count nutrition facts in most of my recipes, but you’re welcome to put the recipe into an app like MyFitnessPal to check and see whether it would fit into the particular lifestyle you’re following. You say in recipes to use a hand mixer. How about a stand mixer. Our son bought one for us years ago and I enjoy using it. Thanks! I just find a hand mixer easier to get out, use, and clean. 🙂 A stand mixer would often work, but it depends on the recipe. In this recipe, I would use a hand mixer because it doesn’t make a huge amount of dough and I’m not sure that a stand mixer would be able to mix it up as well. Depends on the mixer you have, though. I hope to publish a cookbook next year. 🙂 It’ll be a lot of work, but I’m hoping for next year. you are a genius! Your recipes are unbelievable! Thanks and keep them coming! these look delicious. and i just got my baking blend in the mail today 🙂 i’m wondering, though, what you do with the top part of the muffin that you cut out to make a hole for the custard filling. do you put it back on top of the filling, or do you eat it separately, or….? These are SO adorable! Pinning!